Some Fishing Tips For Beginner? Fishing: Fishing is the activity of trying to catch fish. Fish are normally caught in the wild. Techniques for catching fish include hand gathering, spearing, netting, angling, and trapping. Fishing may include catching aquatic animals other than fish, such as mollusks, cephalopods, crustaceans, and echinoderms. The term is not normally applied to catching farmed fish, or to aquatic mammals, such as whales where the term whaling is more appropriate. casting is over-rated, and a kayak is best for a taxi to good wade-fishing. Good tackle always pays for itself. 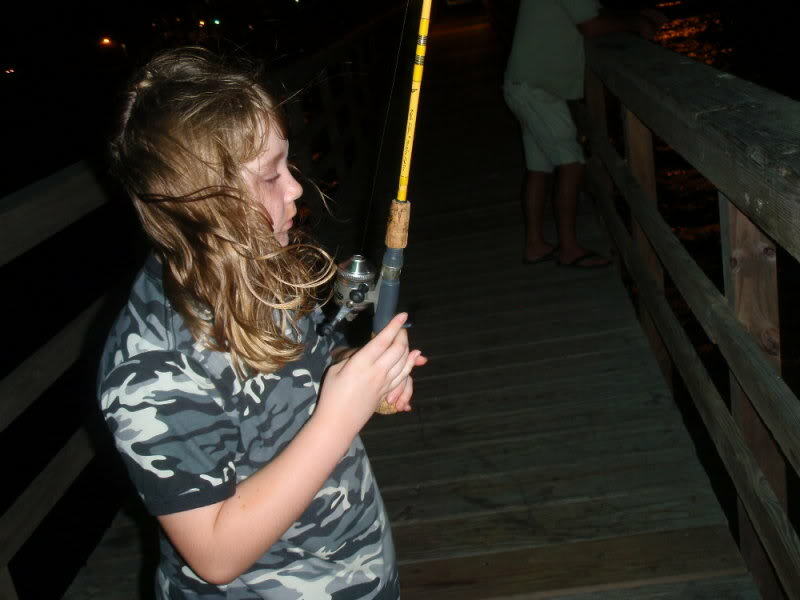 I taught my girls to fish and catch fish, and casting came later, with occasional pointers, but never instruction. The single most important thing is stealth. Big fish aren't smart, big fish are cowards. I think we figured out Chucky is a well-mannered bot doing his beta-test on us. Last edited by Ron Mc on Mon Sep 17, 2018 3:07 pm, edited 1 time in total. I recently gave my wife some fishing lessons and i agree with all the points you have mentioned. It was a real hard decision to buy a fishing kayak under 500 dollar budget. We didn't want to spend a lot for her first kayak. My two cents for beginners.... Just get out a try. If you are new to an area or been there for years but never really thought about fishing. Just start asking the folks you see everyday. Ask the lady behind the counter at the Valero. "ever hear of any good fishing around here?" If she doesn't shoot you some solid info chances are she will mention someone who can. Fishing is an art / science mutant consisting of several variables. One of those variables is sometimes "the fish just ain't feelin it today!" hahaha. Me personally... I only know one thing. I like fishing but don't know a whole hell of a lot yet. I'm still looking for a mentor! But until I find him or her I'm going to follow my own advice, just keep trying! Zero's modified Gretzky quote " You miss 100% of the fish you don't cast for!" There is soooo much mis information, partial information, overly general information out there that its very hard for a new fisherman to quickly get on fish, and it's very frustrating. Tobin, that was by far the best explanation ever!! Awesome response!! Being new to salt water fishing, it has been a journey for sure. I use YouTube a lot to get a few pointers on they type of bait and tackle to use. I then shop around for the best deals... and go from there. A few pointers that I have learned for inshore fishing would be... piping corks for inshore. Get a few different types. Try them out see what works best. I always feel louder the better... but. I have heard that you could scare fish (depending on temps and fish activity). I use a pop cork to about 2 ft leader depending water depth) to a “worm,” or “bend,” j hook. (No needed weight). I then attach a gulp shrimp or a live shrine. I hook the gulp about 1/4 inch down from the top and straight threw. When hooking a live shrimp, I hook three the back of the head under its horn, but behind the brain not threw it. Occasionally I’ll hook threw tail. I then continue to my baitcast combos. I have 2 lews reels which I truly enjoy. Baitcast and “casting,” will take the most to get used to. As to your retrieval speed can make a break you. Look at your gear ratios. Your retrieval speed when adrift in a kayak and fishing in direction of your drift will be faster than if you’re anchored or wade fishing. (Due to that you’re moving in one situation and not the other). I usually take a few different types of crank baits. I’ll take too water, suspension, and jigs/spoons. Early mornings / late evening is when I usually throw the top water. If nothing, I’ll move to a suspension or “near surface,” type of bait. She dogs are a nice go to with a loud radel and usually attach a swivel With a clip to th bait so I can swap baits out easily. (Or use a loop not in order to “walk,” the lure with each pop on your retrieve. Then I’ll go with something that may “dive” or slowly sink and rise as I “pop,” it in my retrieve. Here I typically go with various Paul brown luers. Then I’ll play around with jigs or 1/2oz- 3/4oz spoons. Jig heads I typically use 1/4oz depending on how fast the current. More current, more weight. And think on about what you want out of your bait, if it’s calm and shallows... 1/8 or 1/16 oz would burn in the winter when water is cold an your retrieve should be slow. Your gear ration on your reel plays effect on your retrieval speed. Anything over 8.1.1 is almost too fast for inshore waters. And 6.3.1 is good for winter. I typically throw a 7.5.1 with my lews and just change my speeds up on factors like I previously mentioned. For kayaks, I purchased one recently for $250 from academy here in corpus. It was on sale, $400 off. So shop around. Use a sit on top kayak and use it to adventure to flats and get out and walk around. Find bait fish... throw to schooling fish. And don’t be afraid to search your area with “fishing,” at the end. I almost gaugente there is someone in your area on there that you cat observe and learn some pointers. I hope a few of these pointers combined with the pointers also mentioned above help someone out. I have learned a lot from my father in-law who I typically go out fishing with.